The swelling and uncontrollable itching caused by a mosquito bite are enough to spoil the mood in outdoor parties.And quickly we turn to commercial insect repellents to keep them at bay. But do you know – they contain a toxic pesticide called DEET which is very harmful to humans? Prolonged usage insect repellents can cause memory loss, tremors, muscle pain, weakness, fatigue and shortness of breath. And mosquito bites can lead to malaria, dengue, yellow virus and West Nile virus. Needless to say, home remedies can be a safe and effective alternative for them. 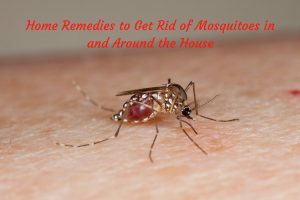 Listed are few tried and tested solutions you can try and combat the issue of mosquitoes both indoor and outdoor. It is one of the safe and most effective solutions indoor. Add 1 camphor tablet to a small bowl. Fill water in the bowl and place it in any corner of the room. For more effective results, crush the camphor. If the room is big, use two bowls in the process. Close all the windows of the room. Light a camphor ball and place in the middle of the room. Come out of the room and close the doors. After half an hour, open the door and you will not find any mosquitoes. To an emptied refill bottle, add 3-4 camphor balls and 1 cup Neem oil. Fix this bottle to an insect killer machine. Switch on the machine and it works just like commercial ones. Cut a plastic bottle into a half. In a bowl, add brown sugar and hot water. When the mixture cools down, fill half of the bottle with this mixture. Add yeast to it and stir well. Take a funnel part and place it upside down into the bottle. Now wrap the bottle and funnel with a black tape, keeping the funnel hole open. Place the bottle in mosquito-prone area. Refill the bottle every 2 days. This method prevents the breeding of mosquitoes. The coffee grounds make the mosquito eggs to float on the surface and get killed by deprivation of oxygen before hatching. Wherever you find water stagnant around your home, sprinkle coffee grounds on them. The mosquitoes get attracted towards us because of the carbon dioxide we exhale. Dry ice releases a lot of it so all the mosquitoes to get attracted towards it. Place dry ice in a container. Place it in a certain distance. When all the mosquitoes get into the container, close the lid. Note: Though this is a time-consuming process, it can be of great help to get rid of mosquitoes. Mosquitoes hate the pungent smell of the garlic. So it is will help to drive away them. You can also eat garlic to avoid mosquito bites. Crush few cloves of garlic. Add them to enough water and bring the mixture to boil. Let it cool down and pour the mixture in a spray bottle. Squirt the mixture in all the rooms. Crush 10 garlic cloves and place them in a jar. Pour 3 teaspoons of mineral oil in the jar and cover it. Let it infuse for 24 hours and strain it. Discard the garlic residue and add 2 teaspoons of dish soap. Pour the solution in a spray bottle and add enough water to it. Shake well and spray it in your garden. Precaution: To make sure the solution doesn’t spoil your foliage, spray in a small area and look for 3 days. If the foliage solution turns yellow, try more diluted version of the spray. If it still makes foliage yellow, stop using the solution. If not, spray in the whole yard. Pour citronella oil in a spray bottle. Squirt in all over the room. Alternatively, you can add a few drops of the citronella oil to a candle and light it up. Alternatively, you can rub it on the exposed areas of the body. Mosquitoes cannot handle or tolerate the smell of lavender oil. Pour lavender oil in a spray bottle. Squirt it all over the room or house. Alternatively, you can apply a thin layer over the exposed areas of the body. Alternatively, mix 30 drops of lavender oil and 2 tablespoons of vegetable oil. Apply it over the exposed parts of the body. Fill the spray bottle with 16oz water, 15 drops of lavender oil, 4 tablespoons of vanilla extract and 1/4 cup of lemon juice. Shake well and spray in all the rooms. Red mulch is not just for gardening, it helps to keep away mosquitoes as well. It has repellent qualities. Put red mulch chips in enough water. Pour the mixture into a spray bottle and squirt in all rooms. Take some pinion woods and burn them outside or in the backyard of your home. The smoke helps to kills the mosquitoes. Burn few stalks of rosemary on hot coals or barbecue. The aroma that comes from it drives away the mosquitoes. In a spray bottle add 1/4 cup pure witch hazel and 4 drops each of citronella oil, lemongrass oil, rosemary oil, eucalyptus oil and mint oil. Spray in your room or on exposed parts of your body. Mosquitoes get attracted to people who drink beer. So with a twist, we can do this DIY to trap the mosquitoes. Place a bowl of beer at few corners of the room or around the patio. Mosquitoes get attracted to the beer and move around the bowl instead of biting you. Mix 1/3 cup each of stale beer, salt, and mouth (which contain alcohol). Pour some of the mixture your gardener feeder and spray some of it throughout the garden. Both lemons and cloves have repelling properties which drive mosquitoes away. Insert 6 – 12 cloves into each half of the lemon. Place them in any corner of the room. Having a party outdoor and wondering how you can drive them away then this process is for you. The mosquitoes will get attracted to the water source and get trapped. The soap bubbles drown them. Take a dish of water and add some dish soap to it. Mix well and keep in a place nearby. This is just one a sample of preparing repellent spray. You can mix your favorite oils which have anti-bacterial properties with any carrier oil make your own version. In a bottle, combine 10 drops each of eucalyptus oil and cedarwood oil, 5 drops each of tea tree oil and geranium oil and 2 drops of jojoba oil. Stir well and apply enough amounts on exposed parts of the body. Note: Don’t let the oils enter into your eyes and keep the mixture away from the kids and pets. The leaves of the holy basil plant are known to destroy the mosquito larvae. So just plant a few plants of holy basil at the entry and window areas of the home. Or you can also try this repellent spray with holy basil. Put a handful of basil leaves in a glass bowl. Pour enough hot water into the bowl. Cover the bowl and let it steep for 2 – 4 hours. Strain using a sieve and discard the basil leaves. Now pour the solution in a spray bottle and add enough vodka to it. Shake well and spray it on the exposed areas of the body. Drinking apple cider vinegar also acts a good repellent. Add 1 or 2 teaspoons of ACV to 16oz of water and drink it. For extra taste, add a teaspoon of honey. Catnip is 10 times stronger than commercial repellents. You grow some of them in your garden or do this process. Boil some catnip leaves and flowers in enough water. Let it cool down and pour into a spray bottle. Spray the mixture in all corners of the room. Chop rosemary herb and catnip leaves and stems. Place them in a bowl and add hot water into it. Cover and let it steep for 1 hour. Strain the solution and pour into a spray bottle. Spray it in your home. Put some bay leaves and rosemary in a bowl. Add enough water to it. Place the bowls on kitchen counter and corners of the rooms. Fill half of the zip lock bag and add few pennies in it. Tie it on the windows where there is an abundance of sunlight. The mosquitoes get confused about the light that reflects from the coins and stay away from the house. Orange peel contains limonene which mosquitoes away. Grate the orange peel and add it to a bowl. Place it the corners of the room. Indian lilac oil has anti-protozoan properties. Coconut oil contains antibacterial and antiviral properties. The mixture of these oils keeps the mosquitoes away for at least 8 hours. Mix equal quantities of coconut oil and Indian lilac oil. Apply s thin layer of the mixture on the body. The mixture of both these oils acts a natural repellent. Mix equal amounts of lemon oil and eucalyptus oil. Apply a thin layer of the mixture on the exposed parts of the body. Mosquitoes hate the smell of mint. So you can use to drive them away with mint. Apply mint oil on exposed parts of the body. Alternatively, you can spray diluted mint essential oil in your house. Tea tree oil contains antibacterial properties and its strong smell keeps the mosquitoes at bay. Dilute tea tree oil with some water. Rub the mixture over the exposed parts of the body. Neem oil contains natural insecticide which keeps all types of insects away from you. Apply a small amount of neem oil on exposed parts of the body. 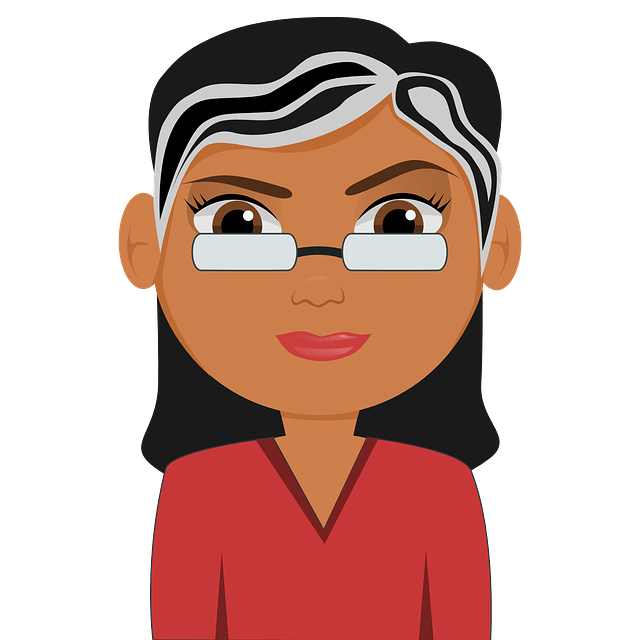 Alternatively, you can mix equal amounts of coconut oil or a tablet of camphor. Mix 1 tablespoon each of vanilla extract and water. Stir well and apply it on exposed parts of the body using a cotton ball. It works till 30 minutes and reapply if needed. Eliminate standing water in and around your home. Mosquitoes breed in stagnant water. Grow mosquito repellent plants like lemongrass, marigold, basil, mint, lavender, horsemint, geranium and others. If you live in areas which have lots of mosquitoes, then wear full sleeves and cover the maximum. Don’t use cosmetics, shampoos or deodorants which contain fragrance as it attracts mosquitoes. If you keep a bowl of pets or birds, then change the water often. If you store water, then make sure they are covered all the time. Use mosquito nets to secure your sleeping area. Close all the windows and doors before sunset. As mostly mosquitoes enter homes after 5 PM. Mosquitoes get attracted to the light, so you can place sodium lamps or yellow bug lights in your house. So now it’s easy and safe to avoid mosquitoes with these natural remedies. Do you have other solution for mosquito problem? Write your suggestions in the comments section below.